Translated by Constance Garnett, with an Introduction by A.
D. P. Briggs. As Fyodor Karamazov awaits an amorous encounter, he is violently done to death. The three sons of the old debauchee are forced to confront their own guilt or complicity. Who will own to parricide? The reckless and passionate Dmitri? The corrosive intellectual Ivan? Surely not the chaste novice monk Alyosha? The search reveals the divisions which rack the brothers, yet paradoxically unite them. 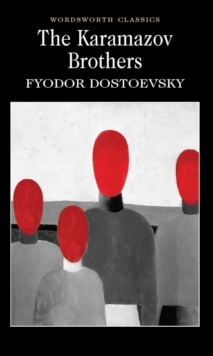 Around the writhings of this one dysfunctional family Dostoevsky weaves a dense network of social, psychological and philosophical relationships. At the same time he shows - from the opening 'scandal' scene in the monastery to a personal appearance by an eccentric Devil - that his dramatic skills have lost nothing of their edge. The Karamazov Brothers, completed a few months before Dostoevsky's death in 1881, remains for many the high point of his genius as novelist and chronicler of the modern malaise. It cast a long shadow over D. H. Lawrence, Thomas Mann, Albert Camus, and other giants of twentieth-century European literature.